What is the Children’s Advocacy Center (CAC)? Children’s Advocacy Center (CAC) stress a child-focused multidisciplinary approach to investigation, prosecution, and treatment of child sexual abuse cases. 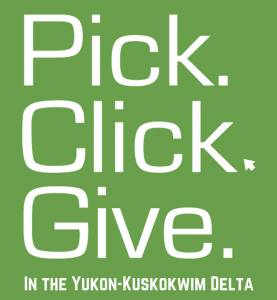 The CAC that serves the YK Delta is called the Children’s Center. We respond to children and caregivers when there is a report of child sexual abuse to provide evaluation services in a safe, child-friendly environment. We strive to ease the trauma of child abuse and connect families to resources to support them so they can begin the healing process. 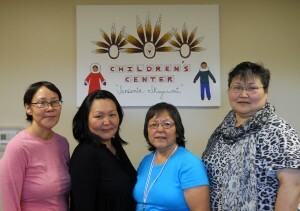 IRNIAMTA IKAYURVIAT STAFF: Carolyn Peter, Child Forensic Interviewer; Olinka Peterson, Tribal Victim Advocate & Outreach Coordinator; Carol Evon, Family Advocate; Pauline Bialy, CAC Program Manager. To see the October 2016 CAC Newsletter, click here! To download an informational brochure on the CAC, click here!